CSI offers a full menu of programming to keep our adult members stimulated. In addition to Adult Bar and Bat Mitzvah classes, Lunch & Learn classes and evening classes are offered that cover a variety of topics. We offer “Dinner & a Movie” followed by a discussion, book reviews, cooking classes and trips to cultural exhibits and events around the state. 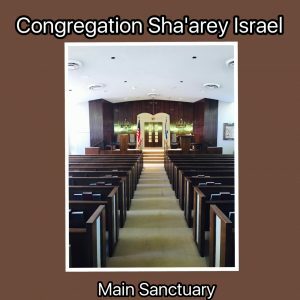 Congregation Sha’arey Israel prides itself on bringing a wide range of scholars-in-residence to Macon. In recent years we have hosted some of the foremost spiritual and rabbinic leaders, musical, photographic talents. Notable examples include Rabbi Daniel Gordis, Rabbi Danny Seigel, columnist Jeff Jacoby, Judaic scholar Marcia Falk, and author Dr. Ron Wolfson.